64mm Davidson Cup Pull, 1 per package The Liberty 2-1/2 in. Satin Nickel Plain Cup Pull adds an updated accent to traditional or casual home cabinetry or furniture. It features a 2-1/2 in. center-to-center, rear-mount design for easy installation. 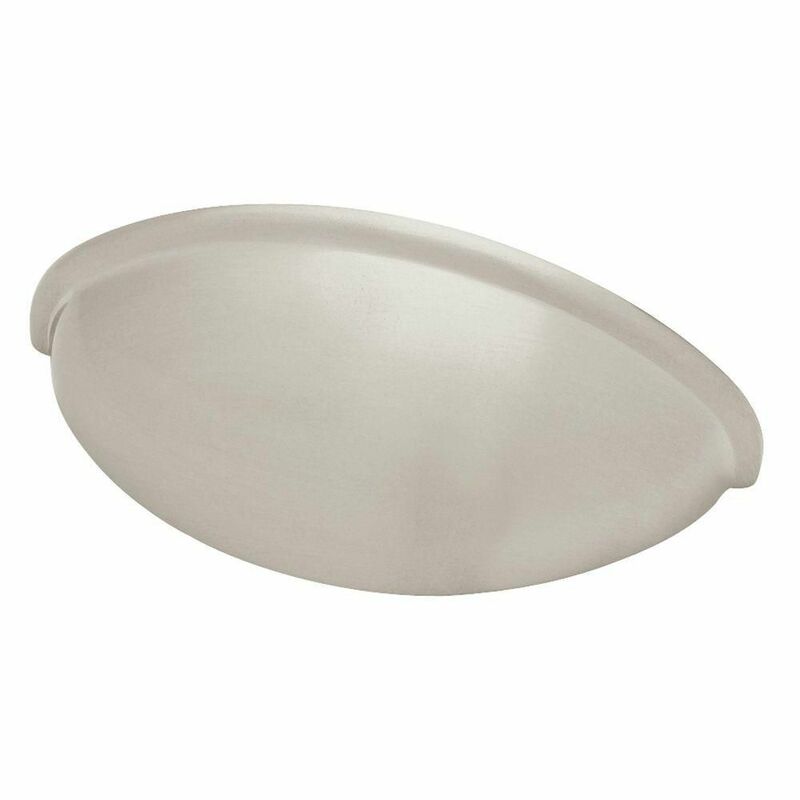 The metal base material is built for durability and is coated in a fresh satin nickel finish. 64mm Davidson Cup Pull, 1 per package is rated 4.8 out of 5 by 18. Rated 5 out of 5 by DiyQueen from What can i say? It's a drawer pull. The finish was consistent and they look perfect on the draw... What can i say? It's a drawer pull. The finish was consistent and they look perfect on the drawers in my new bathroom. Rated 4 out of 5 by Scott from Finish was good though scratches fairly easily.... Finish was good though scratches fairly easily. Rated 5 out of 5 by cmtemca from Great product. Met our needs perfectly.... Great product. Met our needs perfectly. Rated 5 out of 5 by Paiface from Not too big not too small. Absolutely perfect! Not too big not too small. Absolutely perfect! Rated 4 out of 5 by John from Easy to install even though new holes had to be... Easy to install even though new holes had to be drilled. All acrews were too long and had to be cut down. Rated 4 out of 5 by jenkij from Nice design, fair price, easy to install with template (sold separately). Nice design, fair price, easy to install with template (sold separately).